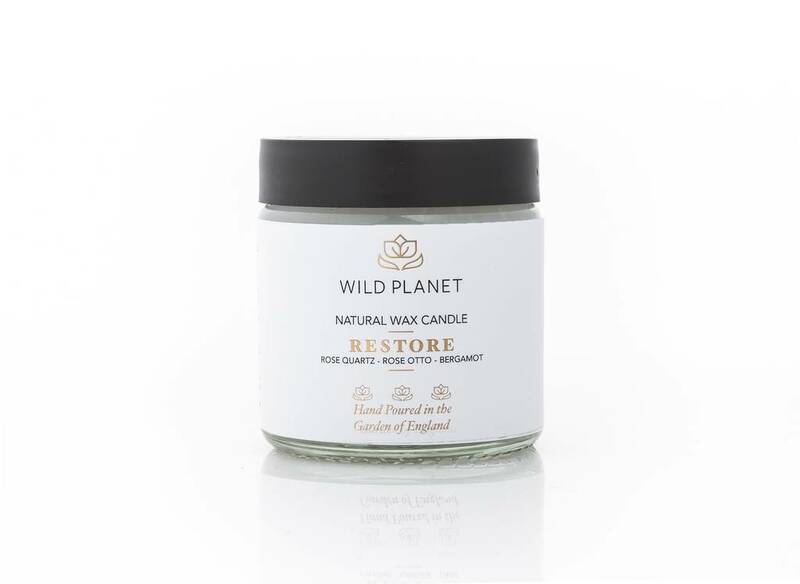 Our new RESTORE Candle Jar blended with aromatherapy essential oils including gorgeous Rose Otto oil infused with a Rose Quartz crystal. A thoughtful gift for a friend or loved one who needs a little TLC and some feel good vibes in their life. Lovingly hand poured in our Kent studio. 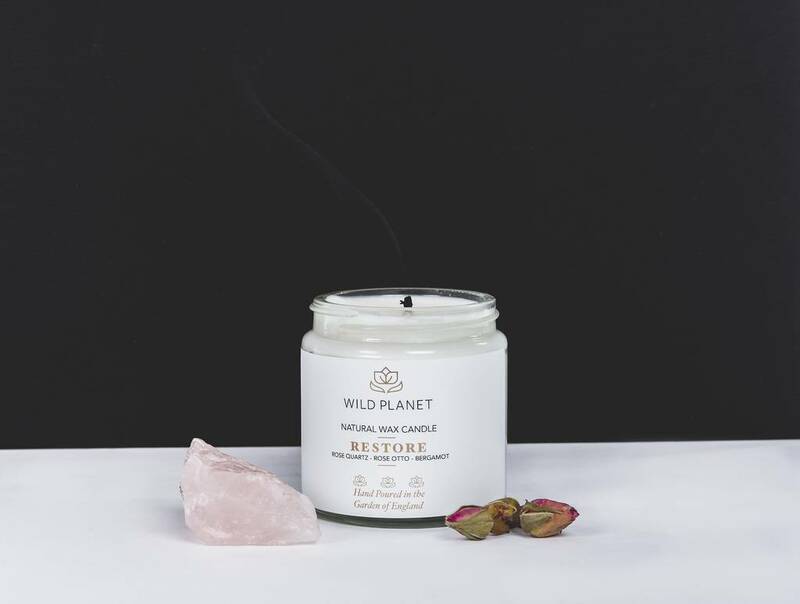 Blended with a potent mix of aromatherapy essential oils designed to improve your mood and enhance your wellbeing with a pretty, floral fragrance embedded with a healing and nurturing Rose Quartz crystal. 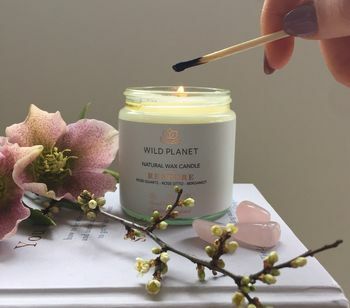 Sustainably sourced soy wax, with a clean burn, a cotton wick and a natural Rose Quartz tumblestone. Please keep stones away from small children. 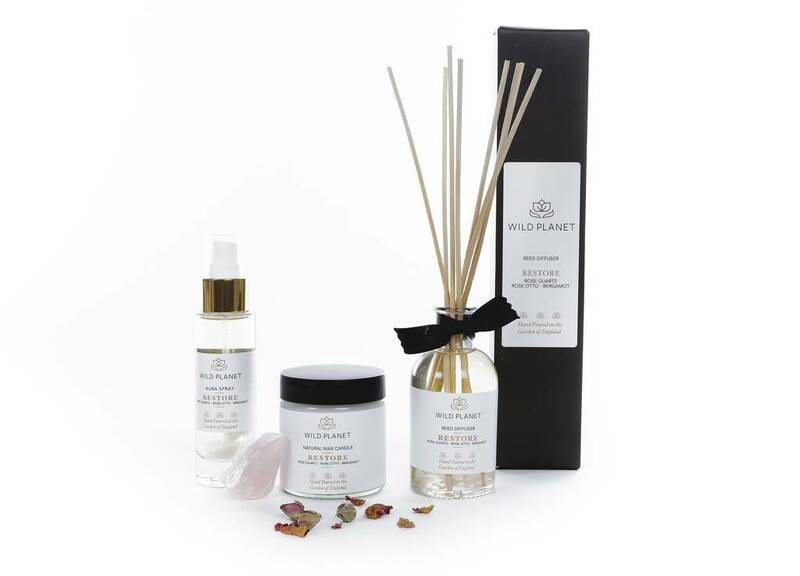 This specially formulated blend of restorative botanical oils includes exquisite Rose Otto essential oil with therapeutic properties to bring comfort and tranquility with notes of uplifting Bergamot essential oil.